Patrick Filice is an Associate Director – Permanent Search with The Mason Group. He has several years of experience in client relationship and account management roles. 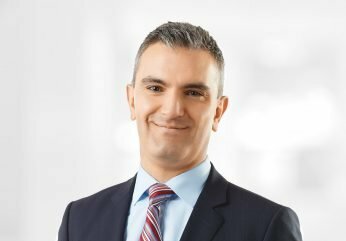 Prior to joining The Mason Group as a recruiter, he worked at a boutique accounting and finance recruitment agency and a Canadian Profit Hot 50 firm in a highly competitive niche technology solutions industry. He’s also held roles at leading Canadian financial institutions, in both operations and human resource management. Patrick’s commitment to understanding his clients’ needs and providing optimal solutions with exceptional service has enabled him to foster rewarding long-term client relationships. He enjoys learning about his clients’ business to find them the most ideal candidates in the Toronto Area. He also provides candidates with better career opportunities and helps them weigh their options carefully, giving unbiased advice to help them make the best decisions. “But most of all,” he says, “I feel fulfilled when clients and candidates provide positive feedback and show it by referring others to me.” Outside of work, Patrick is an avid sports fan and a proud father of two.